Car Shipping Made Simple offer a weekly container service to Malaysia, serving Port Klang with fast transit times. 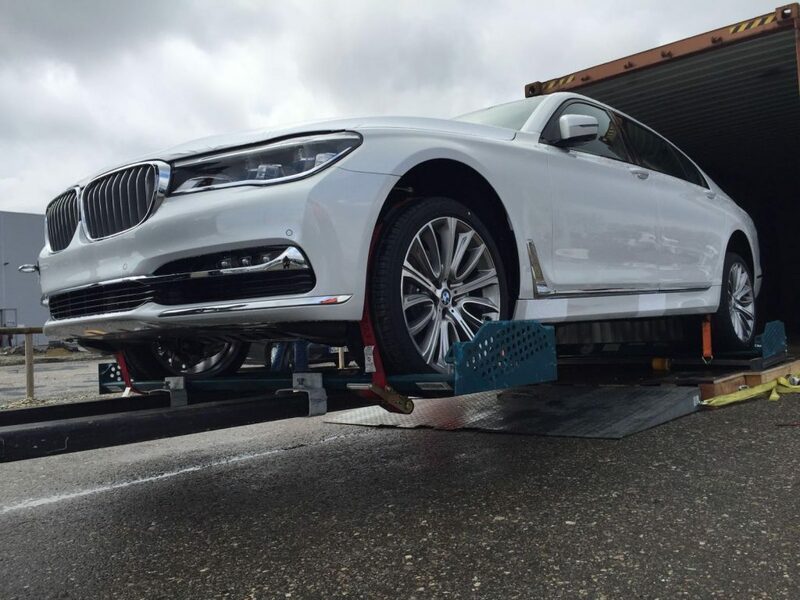 With over 30 years’ experience in the shipping industry, Car Shipping Made Simple offer a highly professional and expert service. Shipping your vehicle to Malaysia from the UK has never been so simple. Our friendly staff are here to help you every step of the way so please don’t hesitate to get in touch. We take care of all paperwork and load your vehicle into a secure shipping container so that it is protected, unlike RoRos, which expose vehicles to potential damages. Your vehicle will be transferred using the quickest and most direct route, where our team will prepare your vehicle for collection. We guarantee a fixed price promise with no hidden fees, offer a tracking service and let you decide your departure time, so that you can have a simple and relaxed shipping experience. For a comprehensive guide to shipping to Malaysia, including required documents and regulations, please use the navigation the left to learn more. Certified translations must be provided of any documents which are not in either Malay or English. The application and documents need to be presented at either the main MITI office in Kuala Lumpur or at one of the branches in Sabah or Sarawak. A short interview is also conducted. Processing of the application and issuing of an Approved Permit, which is valid for three months, usually takes about seven days. Residing overseas for a period of no less than one year. You should prepare your vehicle for this inspection, ensuring each of these elements meets the required standard. Once the car has been inspected, import duties must be paid. The duty depends on the purchase price of the vehicle, the date it was first registered, the model, engine size, and the date of import. The car is not released from customs until the duty has been paid. For current information on the cost of importing a particular car, the Royal Malaysian Customs Department should be contacted directly. The MM2H participant may import one motorcar, which belongs to him/her country of citizenship or where he/she last domiciled. He/she will be exempt from paying import duty and excise duty on the imported motorcar. Application to import a motorcar from the participant’s country of citizenship/ last domicile must be forwarded to the Ministry of Finance within a period of six months from the endorsement date of Malaysia My Second Home (MM2H) social visit pass. The condition for the car import is that the MM2H participant should be the owner of the motor car for at least 6 months prior to obtaining the MM2H visa, as evidenced in the motorcar registration document. Participants are only allowed to sell their imported/ locally purchased car after 2 year’s stay on the programme. Should they wish to sell their imported/ locally purchased car, they are subjected to repayment of import duty and excise duty according to the prevailing rates. Importation or purchase of the motorcar must be for personal use only and not for commercial use. For more information on bringing a car to the country through this scheme click here. This information is meant as a guide only and is not definitive. As destination regulations are subject to change without notice, we strongly urge you to obtain updated information from the Puspakom Inspection Services or the Royal Malaysian Customer Department. Thinking About Shipping With Us? Car Shipping Made Simple offer a weekly container to Malaysia, serving Port Klang with fast transit times.